Christ’s College, a fee-paying school for boys, was founded by the Canterbury Association in 1850. It was modelled on famous English public schools such as Eton, and acquired a high reputation, attracting pupils from around New Zealand. 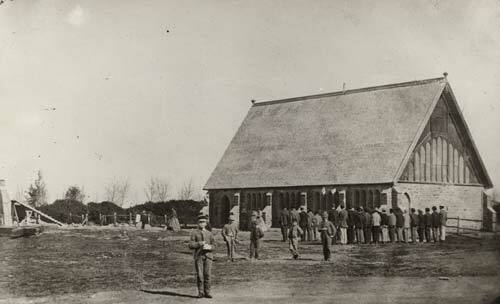 Among its beautiful buildings is the first stone schoolhouse, shown here in the mid-19th century. It is now known as the Big School.